Nikon has announced the release of the new D3100 DSLR camera that has already won the hearts of digital SLR fans but has also won over countless photographers by providing a better and clearer way to follow their passion. This camera is quite easy to use and can be considered as the affordable Nikon; and trust me, it is a true Nikon. You can capture great and clear images with the help of the 14.2 MP D3100 that can also shoot videos in full HD. The improved Guide Mode is there as a silent butler that will suggest and adjust the camera settings to make sure that you get the picture you have in your head. As the title suggests, this is the first digital SLR that has full time auto focus. Not only in Live View but also in D-Movie mode thus ensuring the steady focus you need when you shooting Full HD 1080p video. As the Nikon D3100 might seem small and compact, inside it you will find the most advanced Nikon technologies which will work perfectly without you even knowing most of them are there. The EXPEED 2TM is one of these technologies that can make for great image quality and combined with the 14.2 MP DX format CMOS sensor you will truly be amazed by the result. Don’t make the mistake of thinking that it can only work in good light as the D3100 can also be used in less the perfect conditions and thanks to the fast 11 point AF system and ISO 3200 you won’t even notice the difference when you shoot inside or in imperfect lighting conditions. Try out the new Guide Mode. Whether which come as a new thing for D-SLR and see what results you can obtain and what can you add to your work. The 3-inch LCD makes it easy for users to browse through the improved Guide Mode which you can access fast by pressing the button on the top of the camera; a feature also available on the old D3000. Now, you also get sample images that will help you in making a decision as far as the settings goes to make sure that you get that desired effect. For a better understanding on how this works, I will give you an example on moving water. You can select the “show water flowing” as you browse through the Guide Mode and you will see a quick response that will make for an astonishing image. This guide is there to help users reach that desired feeling they want their pictures to have and will definitely help them improve their work and style. Take your time with the Guide Mode and see what things you can use to make sure that the picture in your head matches the one in your hand. 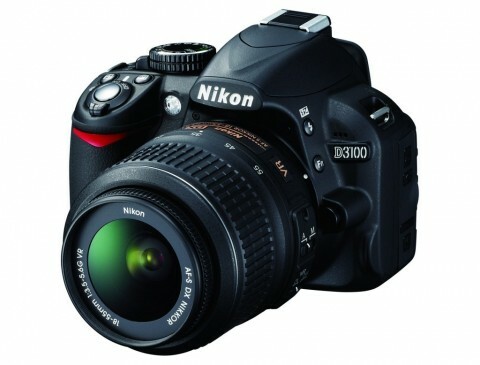 As I said earlier, the new Nikon D3100 D-SLR has the feature to shoot full HD videos at 1080p resolution with great ease. It is a great camera for online use because it can be used to shoot 24-30 fps at 720p. As far as the lenses go, these are NIKKOR and can be considered as the final touch that makes this camera one of a kind. You no longer have to worry about low light conditions and with the help of the Vibration Reduction II system your video clips will look like they were made by the hands of a surgeon. Nikon can easily be considered as being a pioneer. Not only were they the first to introduce HD video in a Digital SLR but now they present the full time AF for Digital Movie Shooting with the new D3100. 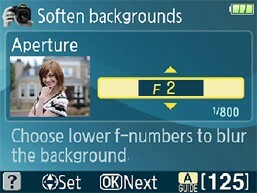 As you are in Live View, the AF will automatically focus as you shoot while suing the LCD screen. Another great feature about the D3100 is that it can recognize 35 human faces and lock upon them with the help of the Face Detection technology. The camera also presents great accessibility and you can simply enter Live View with a switch. If you are not happy with the ending or beginning of your clip, you can simply edit it out when you play it back on your camera. D3100 also makes this process run a lot smoother than its predecessors and it offers a great variety. The clip is recorded as .mov file and can be easily played back on a HD television. For storing bigger amounts of pictures and video clips, the D3100 is compatible with the SDXC memory card.